We know your home in Nashville is important to you, so we help to keep your home healthy by using non-toxic window washing solution. Fall is here, and you can get a jump start on it by having your home cleaned professionally. 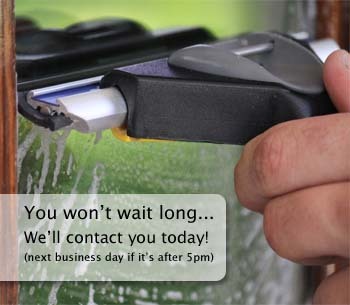 We are NOW offering service packages on Exterior and Interior Washing. Call today to enjoy a crystal clear view through your streak free windows! 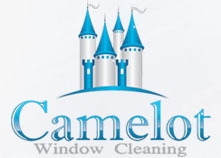 Our window washing process is an established step by step process that has been developed here in Nashville and advanced over a number of years to produce superior results for our customers. We take the time to research, look up, and search out new and better pro equipment and washing training every month. We as a local Nashville company will never stop advancing in this area of our field of endeavor. It's so important to us that we make sure each staff member tries a new product or method for at least an entire day before we draw any conculsions. This way we give all of the new products that we select to try a fair chance at making it on the daily tool belt of our teams. If you have screens, we will first remove all of the screens, and then stack them to be washed. Our screen washing machine uses quad jet innovation; washing every angle of the screen's mesh. If necessary we will clean the worst of them by hand with soap first. Did you know that in Nashville almost 70% of the dust and pollen that is blown in your house comes in through the window? If your house is in Nashville and has screens, having a thorough washing along with the window glass is very important for two reasons. Your screens act as a light filter for outside allergens and should be brushed out regularly. When it rains, the rain drops first hit the screen then the glass behind it bringing any dirt on the screen onto your freshly cleaned glass, so if you have screens, servicing them is essential. The other option that some of our Nashville customers choose (usually the ones selling their house or listing it on the mls soon) is having the screens taken down and stacked in a stack and stored in the garage or under the house in a crawl space or under the porch for you. Next using professional grade solutions, tools and methods we clean the interior and exterior of your home's glass. We build our solution with high grade commercial products because they do not produce the hazy film often left behind by traditional glass washing products. The low washing prices and equipment used by our Nashville service pros includes a variety of tools the most important being a strip washer which applies soap and cleans the surface of the glass with microfiber bristles; a squeegee with replaceable rubber to remove all of the soap and dirt. And 100% cotton micro-weave towels to wipe the edges of the glass leaving no solution or lint behind. We have had numerous customers ask us why we use a swirling motion with the squeegee rather than pulling straight down from the top to the bottom edge of the frame. Besides looking fancy (which fits in here in Nashville) it is actually is an important part of properly providing this service because far less water is left on the glass by using the fanning or butterfly method; now no streaks are left behind, just a clear sparkling view. The final touch is track washing. Years of bugs and dirt can build up in your window tracks and become very unsightly. We are happy to vacuum and wipe them out while we're in your home. 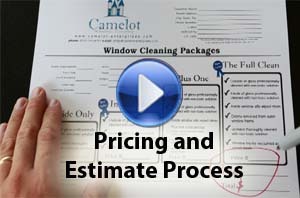 Our estimates are free, so call us today to schedule. 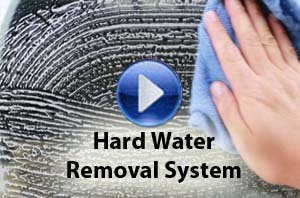 And be sure to watch our other videos on Hard water removal and Our pricing and estimate process. You'll find the short 1 minute videos around our website to be informative and enlightening. This is the best way to decide if our local Nashville company is a right fit for your needs.